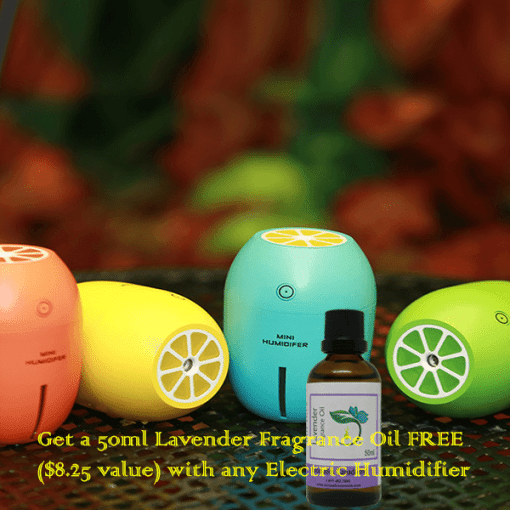 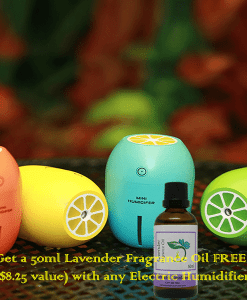 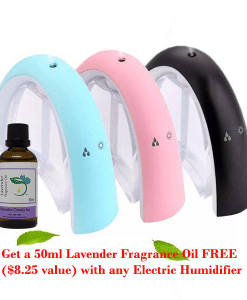 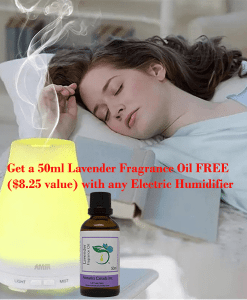 Lemon USB ultrasonic humidifier with 50 ml Lavender Fragrance Oil - Aromatics Canada Inc. 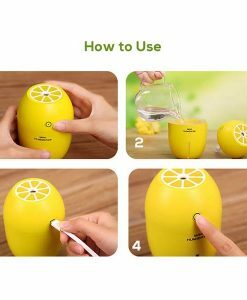 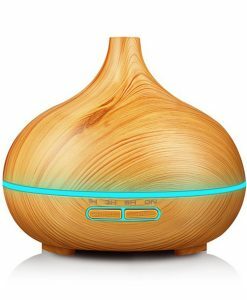 Lemon style USB ultrasonic humidifier With colorful led light diffuser with Auto Off touch switch. 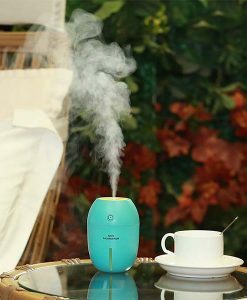 With this humidifier, you’ll never feel dry during any season and your skin will continue to be moisturized. 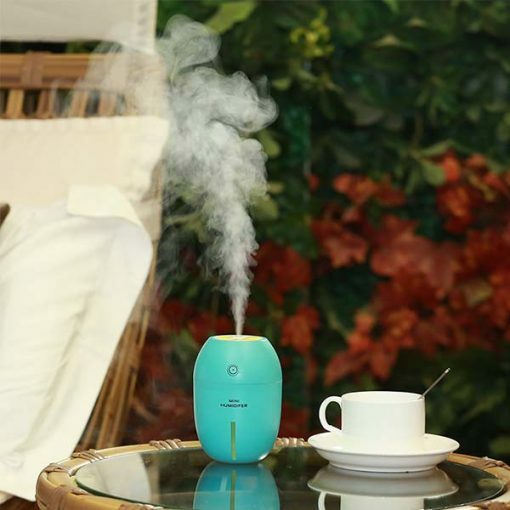 For a more relaxing function, you can use it as an aroma diffuser by dropping a few drops of your favourite essential oil into the water tank to relieve stress and to give the immediate environment a spa like effect. 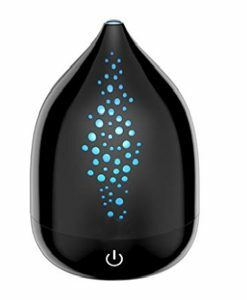 Add a few essential oil drops into water tank to make air smell fresh and to create a spa experience. 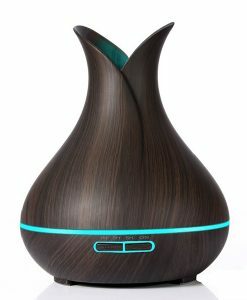 No noise and low power consumption, good for work, home or any other place. 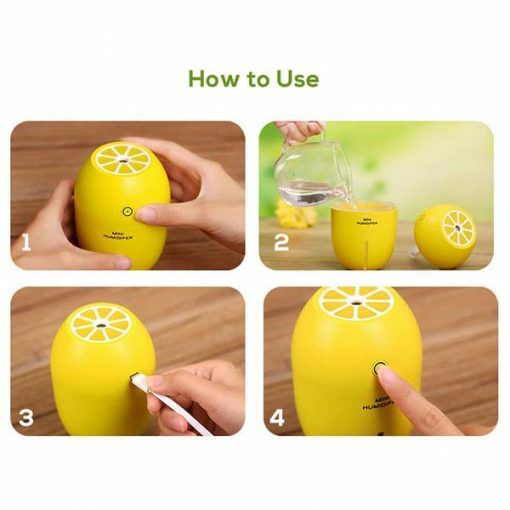 Size: 8 cm (L) x 8 cm (w) x 12 cm (H) approx.